In recent conversations with students in my office and with colleagues curious to learn more about how Dynamic Neuromuscular Stabilization (DNS) works “on the ground” in practice, I have attempted to bring together an overview that can be readily understood for these folks. Full disclosure…at this point (2-17-2013) I have completed DNS training through the “C” level of clinical practice and “Sport” courses 1 &2. This level of training does not qualify me to be an instructor in the DNS system, so all of my musings here should be taken with a grain of salt and are trumped by those who have received those more advanced qualifications. Therefore, think of this post as my own personal musings as I attempt to integrate the work into my sports-injury/rehab-focused practice of chiropractic and take what you will from it. The graphic below was my attempt to explain the flow of common musculoskeletal injury and dysfunction through the DNS lens. Below that, we’ll examine each of these points so that we can see how this pattern recurs with our patients. In future posts, we may refer back to this post to help frame specific Case Studies. CONCLUSION: Patients with chronic low back pain appear to have both abnormal position and a steeper slope of the diaphragm, which may contribute to the etiology of the disorder. Using the muscles of the ‘deep core’ (multifidii, transversus abdominis, pelvic floor and diaphragm), spine stabilization can occur via improved intra-abdominal pressurization. (8,9) This video by Gray Cook, PT speaks to this topic from a tangential viewpoint. 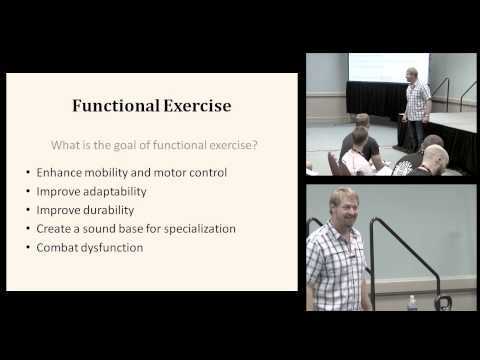 When optimum stabilization strategies are not available, phasic muscles typically used for prime movement are used to both move and to provide alternate stabilization strategies. These strategies for movement often result in joint de-centration which leads to less-than-optimal performance. If loads are too high, too intense, or too frequent joint degeneration and tissue failure may be the result. Charlie Weingroff, DPT speaks to this below. Langevin also proposes a central sensitization component in this paper, modeled on conversations with Lorimer Moseley. Langevin and other researchers have shown that the fascial remodeling occurs in those with chronic low back pain (CLBP) and that the lumbodorsal fascia of those with CLBP is 25% thicker than in controls. (10,11) The presence of ‘tunnel syndromes’ involving superficial neurology has been well described. (12) Janda’s Crossed Syndromes spoke to inhibition of agonists in the presence of shortening of antagonists. This pattern was later updated by Gray Cook and Mike Boyle and is now referred to as the Joint by Joint Approach. As synergistic muscles are re-tasked to shoulder the load left by inhibited muscles, remodeling of the muscle can change its texture, pliability and result in fascial remodeling in the involved muscles. This may also result in superficial entrapment of local superficial nerves and result in local neuralgia in the absence of joint or muscle injury. This point in the process is where manual therapy has the most direct impact and allows bodyworkers an in-road on understanding and treating patients using a functional approach. In the DNS model, we may see common injuries develop around the hip, knee, shoulder and elbow in response to the aberrant loading of those joints in these scenarios. Rather than structure-focused treatments to address the site of pain, practitioners assess movement and stabilization strategies and address those non-painful dysfunctions to effect long lasting beneficial changes. Similarly, in the FMS model, we screen for asymmetrical movement patterns and correct the non-painful dysfunction. These last 2 areas we will save for further explorations with case studies to demonstrate the clinical applications of the combined structural-functional methods. 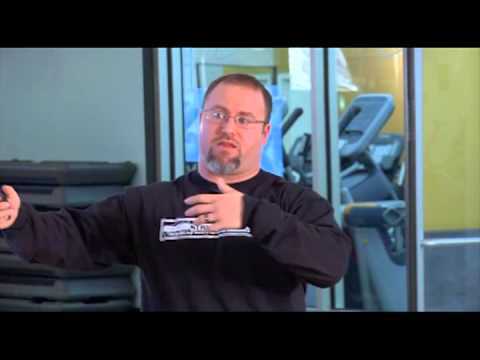 We will also show those corrective exercise interventions featured on MyRehabExercise.com. Anderson DE, et al. Regular slow-breathing exercise effects on blood pressure and breathing patterns at rest. Journal of Human Hypertension. In press. Accessed Nov. 9, 2010. Gavish B. Device-guided breathing in the home setting: Technology, performance and clinical outcomes. Biological Psychology. 2010;84:150. Schein MH, et al. Treating hypertension in type II diabetic patients with device-guided breathing: A randomized controlled trial. Journal of Human Hypertension. 2009;23:325. Bryan T. Green, MD; William A. Broughton, MD; J. Barry O’Connor, MD, MS(Epid). Marked Improvement in Nocturnal Gastroesophageal Reflux in a Large Cohort of Patients With Obstructive Sleep Apnea Treated With Continuous Positive Airway Pressure. Arch Intern Med. 2003;163(1):41-45. doi:10.1001/archinte.163.1.41. Busch V, Magerl W, Kern U, Haas J, Hajak G, Eichhammer P. The effect of deep and slow breathing on pain perception, autonomic activity, and mood processing–an experimental study. Pain Med. 2012 Feb;13(2):215-28. Alicia E. Meuret, David Rosenfield, Anke Seidel, Lavanya Bhaskara, and Stefan G. Hofmann. Respiratory and Cognitive Mediators of Treatment Change in Panic Disorder: Evidence for Intervention Specificity. J Consult Clin Psychol. 2010 October ; 78(5): 691–704. Kolar P, Sulc J, Kyncl M, Sanda J, Cakrt O, Andel R, Kumagai K, Kobesova A. Postural function of the diaphragm in persons with and without chronic low back pain. J Orthop Sports Phys Ther 2012;42(4):352-362. Hodges PW, Eriksson AE, Shirley D, Gandevia SC. Intra-abdominal pressure increases stiffness of the lumbar spine. J Biomech. 2005;38:1873-1880. Hodges PW, Cresswell AG, Daggfeldt K, Thor- stensson A. In vivo measurement of the effect of intra-abdominal pressure on the human spine. J Biomech. 2001;34:347-353. Langevin HM, Sherman KJ. Pathophysiological model for chronic low back pain integrating connective tissue and nervous system mechanisms. Med Hypotheses 2007;68(1):74–80. Langevin HM, Stevens-Tuttle D, Fox JR, Badger GJ, Bouffard NA, Krag MH, Wu J, Henry SM. Ultrasound evidence of altered lumbar connective tissue structure in human subjects with chronic low back pain. BMC Musculoskelet Disord. 2009 Dec 3;10:151. Pecina MM, Krmpotic-Nemanic J, Markiewitz AD. Tunnel Syndromes: Peripheral Nerve Compression Syndromes. CRC Press, 2001.